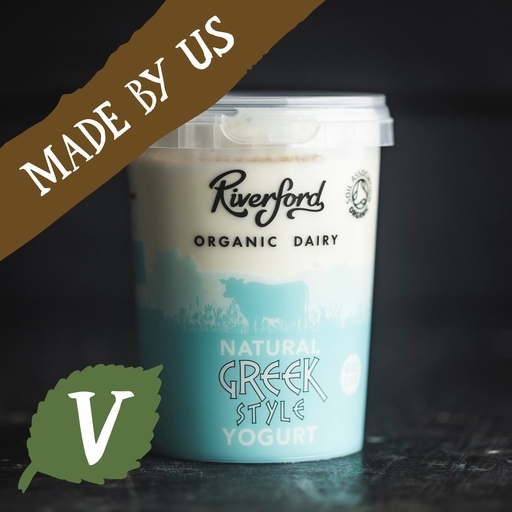 Riverford Dairy make this Greek-style organic yogurt with fresh milk from their truly free range cows. Super-thick, creamy and luxurious. Dollop on granola with a scattering of fruit for a breakfast fit for a king. Whole milk, skimmed milk powder, cream, starter culture.